FlexWear is a standard wear, synthetic skin barrier, which is designed to be worn more than one day. Confidence is assured with the floating flange feature, which provides utmost security with the patented locking system that audibly "clicks" into place. This barrier protects the skin from corrosive drainage. The barrier is cut-to-fit allowing the user to cut the skin barrier opening to the size and shape of the stoma. 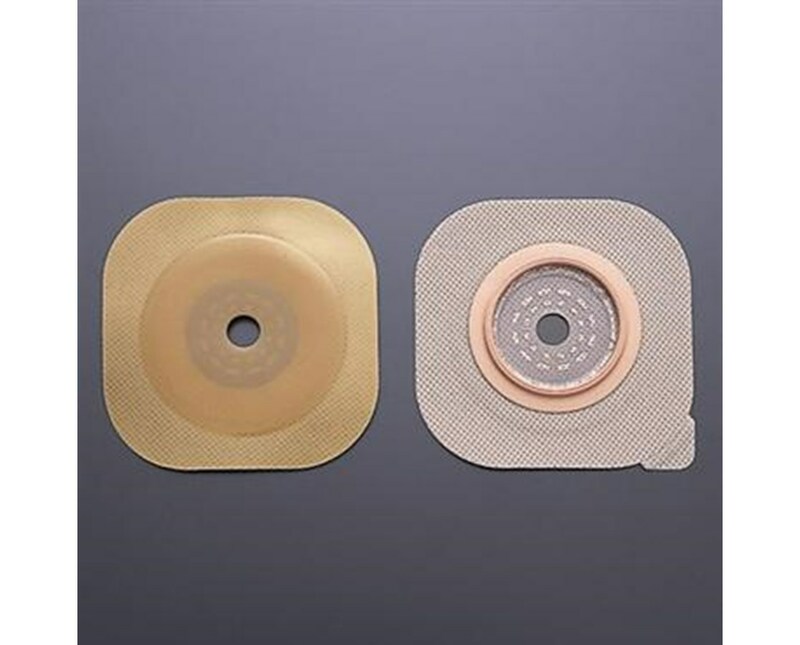 A floating flange eliminates pressure on tender postoperative abdomens and allows fingers to be put under the flange for support while attaching the pouch to the barrier. Purchase the New Image Skin Barrier online, select a size from the drop down above and press add to cart! To help you select compatible New Image components, every box label is color-coded. First, select the proper skin barrier; then select a matching color-coded pouch:("red" skin barrier box label is compatible to "red" pouch box label). FlexWear is a standard wear, synthetic skin barrier, which is designed to be worn more than one day. 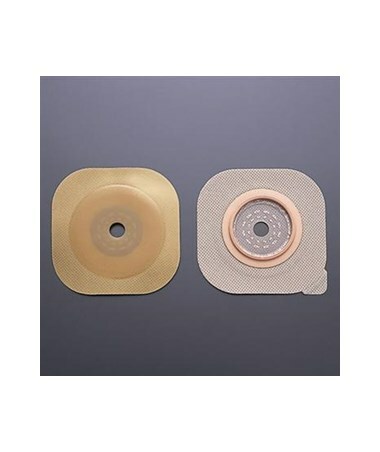 The barrier is cut-to-fit allowing the user to cut the skin barrier opening to the size and shape of the stoma. Tiger Medical offers a 30 day return policy from date of shipment for this product. The return is subject to a 20% restocking fee, in addition to the return shipping charges. The product must be in new condition and in its original packaging - unopened box. We take the responsibility to make sure this product arrives in brand new working condition. Should your item arrive damaged, we will replace the product at no cost to you.